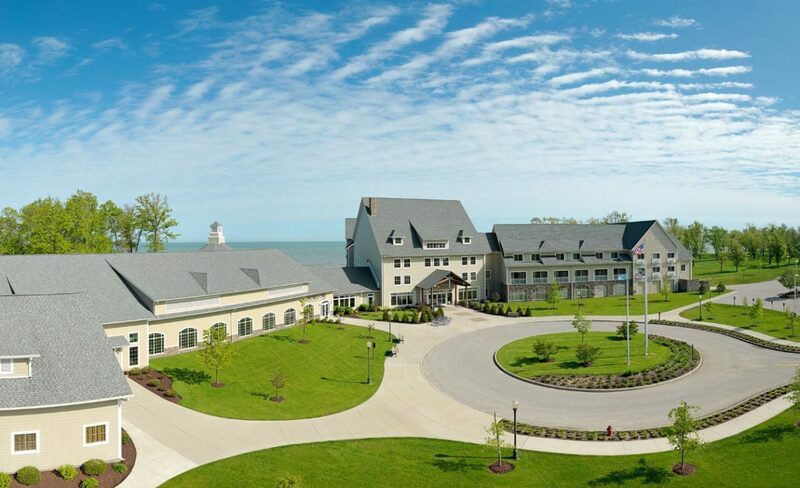 ﻿ The Lodge & Conference Center at Geneva-on-the-Lake - Ohio. Find It Here. 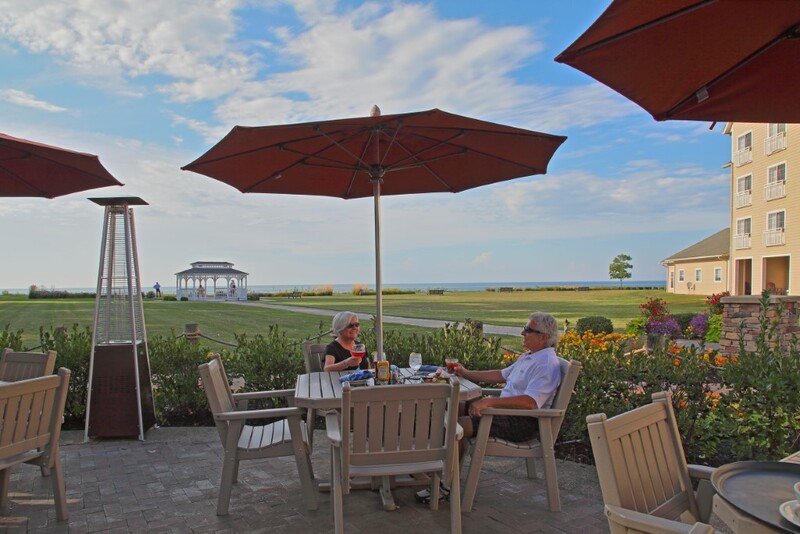 Located at 4888 North Broadway (State Highway 534) in Geneva-on-the-Lake, The Lodge at Geneva-on-the-Lake features 109 finely appointed guest rooms (the majority with lake views) and 25 two-bedroom cottages; Horizons Restaurant, an upscale restaurant with a striking octagonal dining room and al fresco dining  all with a breathtaking view of Lake Erie; a lounge with a rectangular bar; and amenities that include a fitness center, indoor and outdoor pool and gift shop. The Lodge entrance is located one mile north of Geneva State Park, on the left. For room reservations, call 866-442-9765 or visit www.TheLodgeAtGeneva.com. 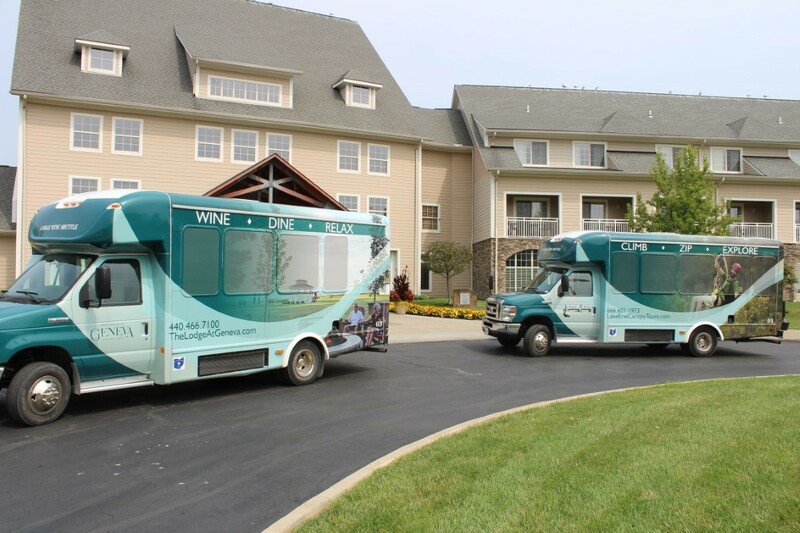 For Horizons reservations, call 440-466-7100, then press 2.